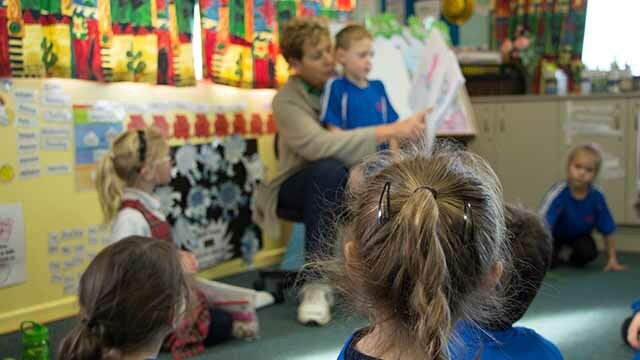 The vision for a Christian school in Rangiora was born out of a desire by families to have their children taught by Christian teachers in a school that promoted Christian values and was based upon a curriculum providing a broad and consistent Christian worldview. The school was established in 1979 as a private primary school, becoming a state integrated Area School for Years 1-13 in 1994. This change allowed attendance dues to drop significantly and staff members to be paid as state school employees, while the school is still able to retain its unique Christian character. Rangiora New Life is the only state integrated school of Christian character offering a comprehensive education to pupils at Years 1 to 13 in the South Island outside of Christchurch city and is a member school of the New Zealand Association for Christian Schools (NZACS). The school has experienced steady roll growth to where it is now able to offer approximately 420 students a comprehensive education at all levels of the school, with strong learning pathways right through to the end of secondary in a very wide range of subjects. Local bus services transport students to the school on the network that serves Rangiora High School. in addition a bus travels each day from Kaiapoi, Pegasus and minivan from NE Christchurch.